Summer Swim Moments – Swimcrest Swimmers showing me their joy. This entry was posted on August 3, 2013, in Learning to Swim, Swimcrest Moments, Swimcrest Swimmers and tagged Learning to swim, summer swimming. Bookmark the permalink. A few months ago, this fantastically happy boy couldn’t swim at all. Not at all. 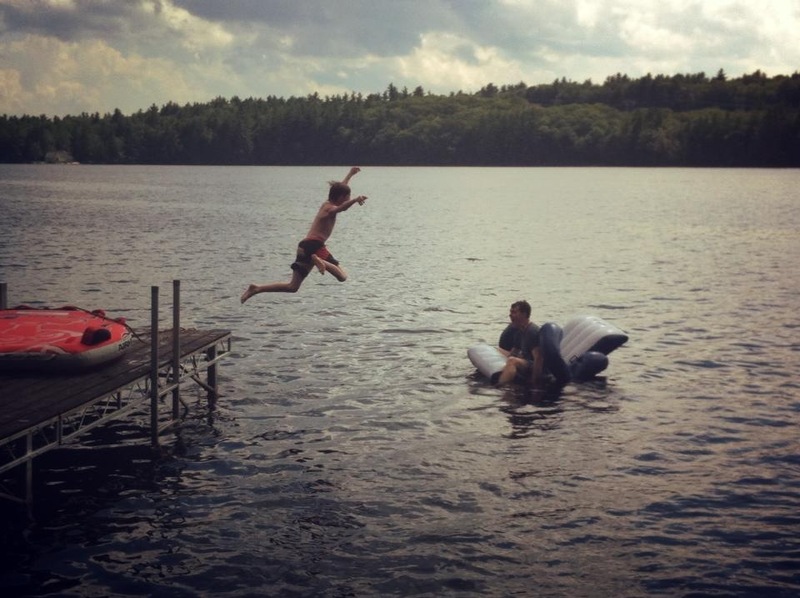 Not water safe, not confident, not ready to jump off a dock and experience the joy that is summer swimming. This photo makes me smile every time I look at it. And it’s not the only one I’ve gotten. Almost every day, I get a photo. A video. An email describing another swimming moment that a parent or student feels compelled to share with me. A 3-year-old jumping off the side of a pool and swimming back to climb out and do it again. A 46-year-old who has, based on her new water confidence, joined an open water swim group and recently just swam her first continuous mile and a half. A family at a water park. And a kid who can now pass the “swim test” to go on the deep end at the town pool. A 43-year-old completely his first triathlon and ranking high on the swim leg. It’s the reason I do this. Thank you for sharing your swimming moments with me. Keep them coming.